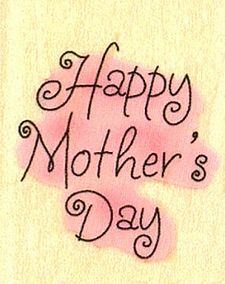 I’m just taking quick moment to wish all of the Mothers out there a Blessed and Happy Mother’s Day! We don’t often take the time to remember them, think about them, or realize what they’ve done for us! Taking just one day out of the year to remember them in a special way just doesn’t seem enough (and it’s not!). Make sure you take the time today to wish your mom and/or the moms of people that mean a lot to you a Happy Mother’s day!